UFO Sighting in Bonney Lake, Washington on 2019-01-01 01:03:00 - Three slow moving orange lights from se to nw, then one at a time began ascending. - UFOMG! UFO Sighting in Bonney Lake, Washington on 2019-01-01 01:03:00 – Three slow moving orange lights from se to nw, then one at a time began ascending. Looking skyward to see all the fireworks in the area, we caught sight of a pronounced red light which appeared to be at about 1000 feet above us moving roughly to the northwest. at first we, my daughter, linda, and i, passed it off as an airplane. but as we watched it further, we realized it was moving slower than a plane would be, it had no flashing red or green lights, nor any other lights of any kind, and it was not on the same glide path as all the other planes that pass overhead on their way to seatac airport. usually planes will be easy to see and follow if we step out our back door, look up and we can watch them go from right to left in a straight line with our roof. the light we were now watching started at the eastern front of the house and ended up at the western rear. here are the strange things that we encountered. first we noticed that it was not on a normal glide path, as it would have gone from east to west, then banking to the north before getting out of sight. instead it went from southeast to northwest. secondly, we realized there was no discernable sound. at first we thought we just were not hearing it due to all the explosions going off around us. but as we listened intently between the pops and bangs, we heard nothing to indicate it was a plane. then we adjusted our hearing, trying to see if it might have been a drone. there was nothing! thirdly, as we watched the light intently, about the time the first one was directly overhead a second one appeared about where the first one did and began traversing the same path. it traveled along at precisely the same speed and apparently the same altitude as the first. at first we were intrigued, but when a third identical light also appeared in the same place as the first and second, we became slightly unnerved! about ten or so seconds after the third light appeared, the first one seemed to stop and appeared to begin climbing, as it looked to get smaller and smaller until a few seconds into the climb just disappeared. it didn't seem that it disappeared due to it's distance but as if it just turned off! the second also did the same as the first. the third, however, seemed to continue to climb until it had climbed to a distance that we simply could not see it any longer. one other thing was right after this, linda and her husband, lucas, who came out to see what was going on, began seeing two shadowy shapes, as if two delta shaped ships cross the area. they said that they were barely visible as if they were the exact color as the surrounding sky and only visible because they were in motion. i didn't see this myself as the cold was making my teeth chatter, so i went in. we would have made a video but both of our cell phones were in the house and they were gone before we realized we should have made a video. in all these years i have heard of things like this. when i lived with my family about 35 miles northwest of phoenix, arizona in 1995, i per chanced to be on the roof of our house one evening adjusting our tv antenna, when i happened to look down toward phoenix, enjoying the view of all of the lights. the odd thing was, i saw some lights that did not belong there over the city! they did some odd moving around which dispelled any thought i had that they might be jets or some other military aircraft from luke air force base, since i had never seen any man made aircraft move in such a fashion. by this time though, i was already old enough that i readily passed it off as a new experimental government aircraft. well, now having seen this happen, and looking for any news on what it could have been that we saw, i found out that bonney lake, washington, where i live, has been rich in sightings of this sort. the thing that baffles me is, if these sightings are indeed aliens from other planets, why have they not given us more than just a glimpse of them, or even made actual contact with us whereby we could dispel all of the theories we have built up. it doesn't make sense to me that if the bible says that god made a division between the day and the night, and he put the luminaries in the sky for us humans, how would any other planet have a more developed intelligence than we humans? and even with the technological advancements we have, we have done nothing as far as putting humans on other planets other than our own moon if that did indeed even happen. 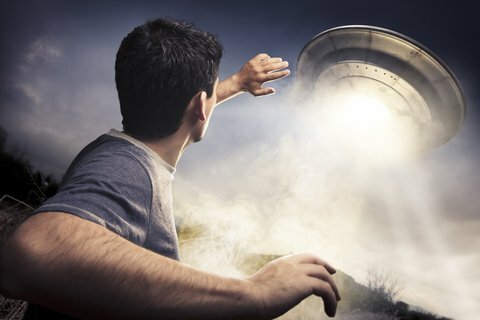 i suppose things will eventually come to light in any case, whether it is in fact aliens or maybe our own military, or even another entity altogether trying to sew doubt in our minds as to the validity of the bible. i have heard it said by physicists whom have worked for the military, that anything we can imagine, the military already has. so where do you stand on this subject? who is it that is doing these things? what is it we are actually seeing? when did these sightings start happening? where are most of these sightings? why are we seeing them? if they are not wanting to be seen, are they not smart enough to stay out of sight? are they wanting us to wonder? how is this happening and we have not been able to identify these sightings publicly? sounds like something is being hidden somehow by someone and for some reason, doesn't it? all i know is, now we have been sucked into the wonder of it all. linda has set her alarm and will be outside about midnight again to see if there is something else to see. Previous article UFO Sighting in Los Angeles, California on 2012-08-30 00:00:00 – Plane like light became really bright and appeared to be heading down, then abruptly went in the same directiin it came faster than anything i’ve ever seen in my life. Next article UFO Sighting in Missouri on 2019-01-29 00:00:00 – Loud swoosh then lights going back and forth for a few minutes then gone.